Wesley Snipes is set to star in a new Las Vegas TV show called "The Player." The show will be produced by the executive producers of "The Blacklist" and will also be starring Philip Winchester. "The Player" is set to debut September 24, 2015. It's regular time-slot will be Thursdays at 10/9c. Despite being set in Las Vegas, it seems this will be more of a standard action-crime drama and probably won't have much to do with Vegas itself. 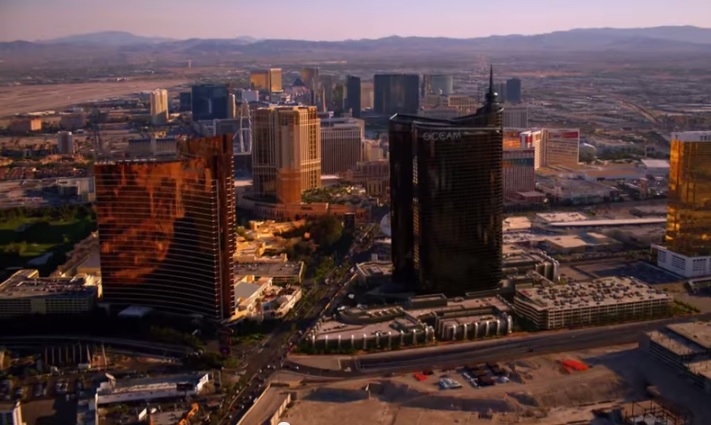 One interesting tidbit from the trailer is a "fake" hotel on the Strip across from Wynn - on the site where the new Alon will be. Las Vegas TV shows and movies are notorious for using creative license with the fictitious creation and placement of Vegas hotels. It looks like the fake hotel in "The Player" is called Occam.